The Peachy Baby sets include a One-Size cover, and two inserts (a small Peachy Baby insert plus a large Peachy Baby insert). 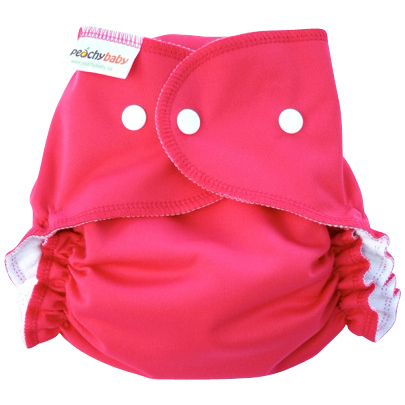 These covers will fit most babies right from birth and keep on fitting longer than most One Size diapers. Our testers stated that they loved the fit equally on small babies and toddlers.